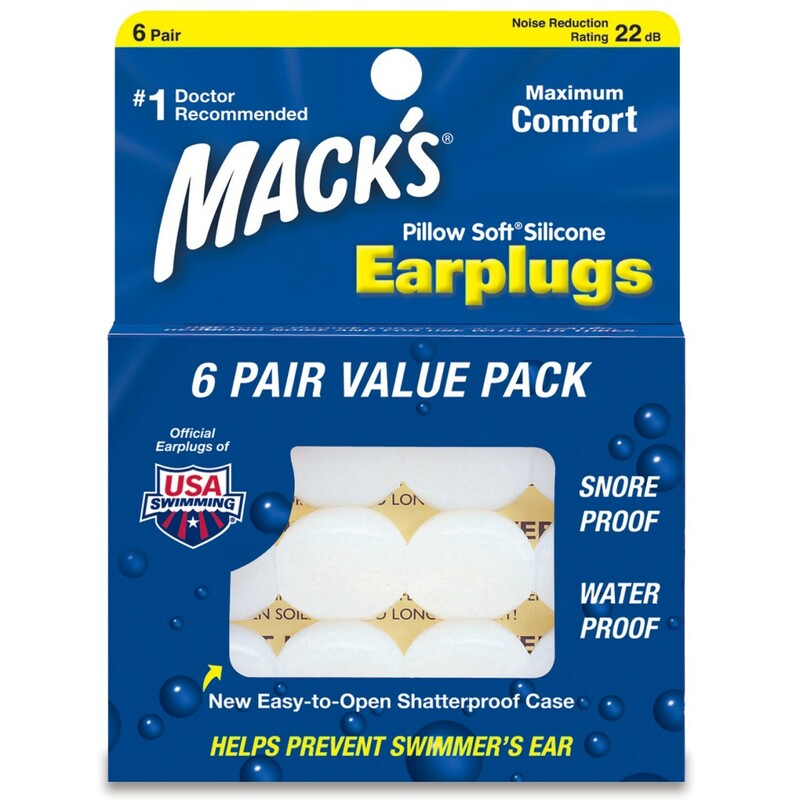 Mack’s Pillow Soft Doctor recommended Earplugs are specially designed to fit comfortably and securely to block water or sound from your ears. 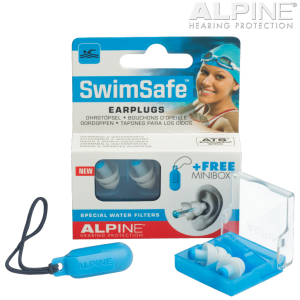 Made with a soft, flexible silicone putty these earplugs will fit to the contours of your ear creating the perfect water tight seal. conform precisely to the unique contours of your ear, creating an effective seal. for a perfect fit. 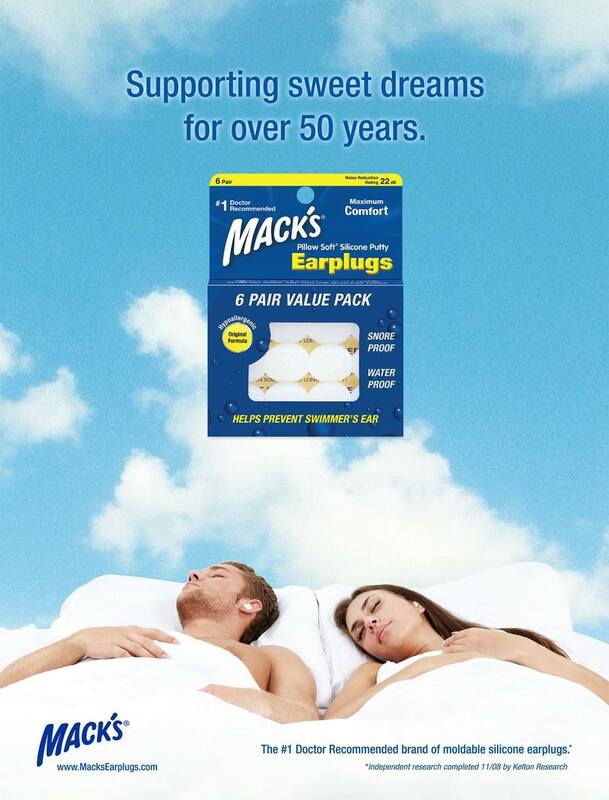 With a population of almost 320 million people in America, Macks Pillow Soft Silicone Putty has been definitively labelled THE Number 1 Selling Ear Plug in the whole of the USA! The Number 1 Brand recommended by Doctors and Ear Nose & Throat Specialists. 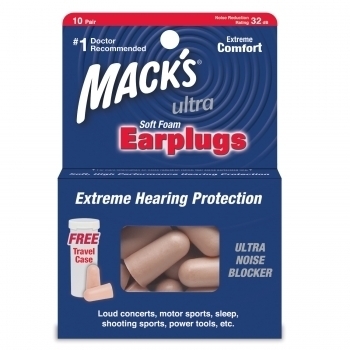 For Ultimate Ear Plug Comfort, you can’t go past Mack’s® Pillow Soft! A FREE convenient shatterproof carrying case is included with every 6 pair pack! Great for travel or to keep handy in your briefcase, swim, gym or hand bag! I used to use the Australian Pink coloured earplugs that were in a little block with cutouts for the plugs. Then some bright spark decided to change them to be pre cut into circular plugs in a move I think to sneakily downsize them. They then became so small that to me they were unusable so I went on a search for a replacement and thank God I found the Macs and an Aussie distributor to boot. These are lovely and soft and pliable and do the job perfectly. Sleep Buddy offer great service as well. HIGHLY RECOMMENDED. I love these earplugs!! I have tried others and have never found anything as soft and non irritating. They are so flexible you can mould them to the best fit for your ears and they block out so much sound. I will always buy Sleep Buddy earplugs. Light Sleeper? Noises Wake You? 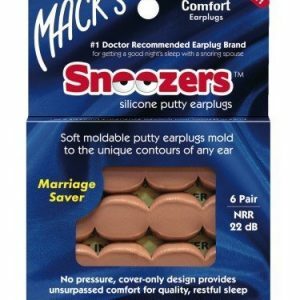 Then pillow the soft silicone sleep aid in your ears and dream the dreams which refresh you. You will never look back as your energy and vigour return. I swim squad two to three times a week and am always plagued with ear infections. A recent visit to an ear nose throat specialist had me booked in for an operation, a grommet in my left ear. It has been 6 1/2 weeks with no ear infections since I started wearing these plugs. A recent follow up with my Dr, who said if I could go 8 weeks without an ear infection I could more than likely cancel my operation date. I’ve never gone more that 3-4 weeks without an infection in the past. I’m sold on these plugs for sure! Because they are soft and pliable you can fill the whole outer ear. As a result almost all sound is blocked or diminished. If you follow the instructions there is no danger of them entering the ear canal. Easy to remove. Their softness makes them very comfortable.